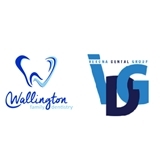 Verona Dental Group/Wallington Family Dentistry (Verona) - Book Appointment Online! Verona Dental Group is a TEAM of Dentists and associates who are focused on providing the best possible dental care in the most caring and compassionate fashion. Verona Dental prides itself on giving our clients the personal attention of the "small practice" next door while utilizing cutting edge technology and the latest in dental treatment advances. Verona Dental believes that informed patients are better prepared to make decisions regarding their health and well being. We look forward to hearing from you and helping you get the smile you've always wanted. Dr. Rozehzadeh is extremely caring and a wonderful dentist. I had not been to the dentist in a few years and had anxiety about going. He put my worries at ease and answered all my questions with a smile. I will defintilty be going back and referring my friends to him.